You’ll need all the USB-C chargers you can get at this point and ANKER has discounted its PowerPort C1 to just $10 which makes it a very good deal for several reasons. Needless to say that pretty much every manufacturer is standing behind USB-C one way or the other. But it’s the phone market where the party is really hot. In other words, if you’re getting a phone these days, it’s likely USB-C and you’ll be stuck with the stock charger for a while. Not anymore. Why? 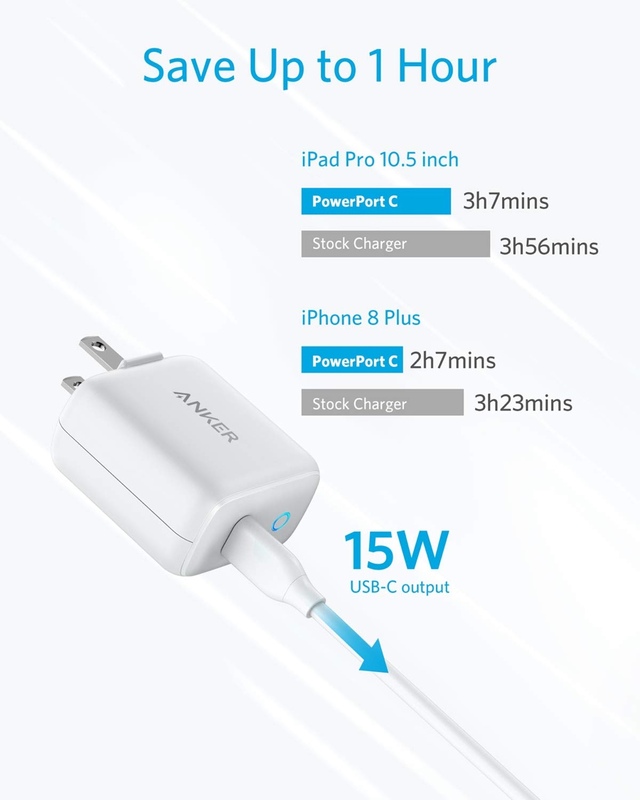 Because ANKER has its smallest USB-C charger on discount right now and it can pump out 15W of power whenever a USB-C device is plugged into it. But the cool thing about this charger is its size and given that it has a foldable plug design, it means that it’s the perfect little charger to have while traveling. Given that this is a USB-C charger and fully conforms to the standard therefore it’s perfectly compatible with a wide range of devices including the latest iPhones, the new 2018 iPad Pro, a range of Android devices and even the Nintendo Switch if you don’t mind slightly slower charging times. In short, this charger will work just fine with anything you throw at it and that’s a wonderful thing. Make sure you enter the discount code at checkout in order to bring the price down to just $10. Even without the discount, this charger still represents excellent value for money.